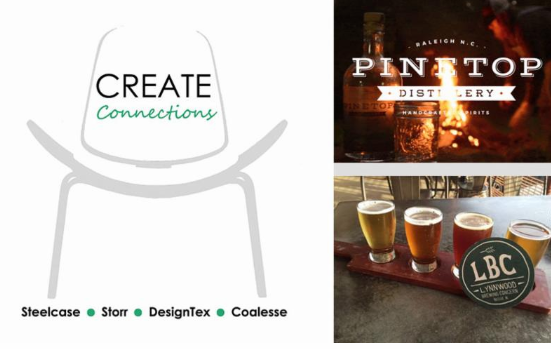 Steelcase, Storr, DesignTex and Coalesse are thrilled to invite you to CREATE Craft Connections on Thursday, May 31, 2018.
to enjoy hand crafted and locally sourced spirits. From there, we’ll head over to Lynnwood Brewing Concern to enjoy their wide selection of craft beer and wine . . . plus appetizers. Our treat! Come relax with us after a hard day’s work. This is a great chance for networking and of course, Creating Connections.